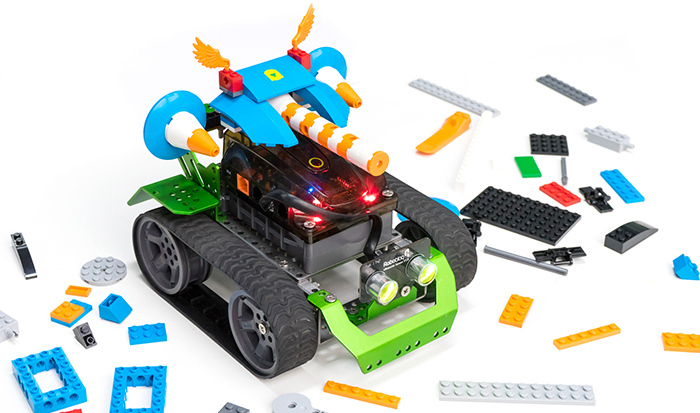 The best designed platform to learn robotics and programming. 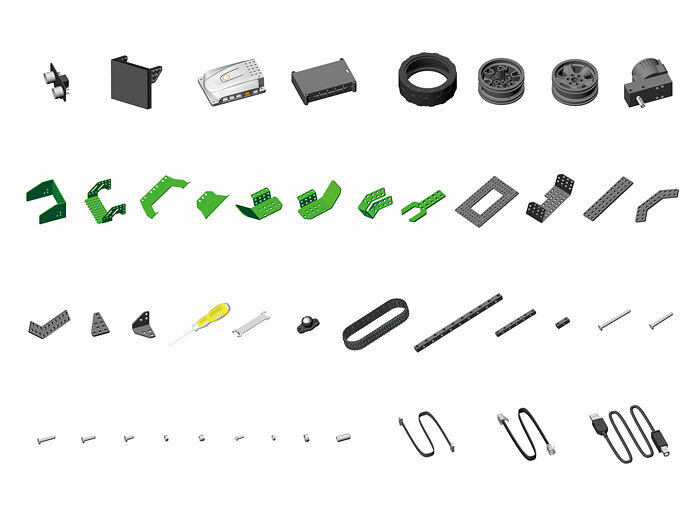 Do you want to build your own robot, but hate the wriggling cables and the rugged circuit boards? Then you'll like Qoopers. Qoopers is a transformable robot with extensive DIY capacity, and is made with anodized aluminium to have a mature look. Qoopers is also an expanding aluminium construction platform. 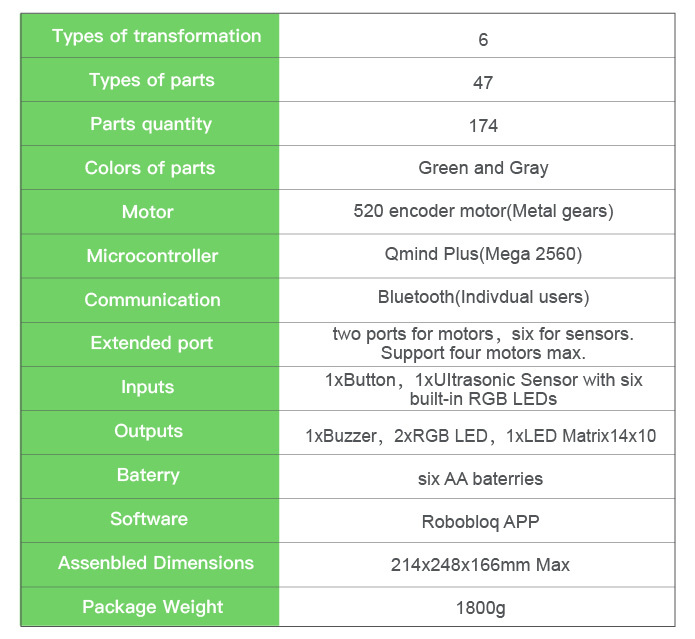 You can build your own robots with growing options of sensors and parts, and go endless with your imagination. Before you start to build, pick your favorite character to begin with! Qoopers has 6 members and each of them has different look and functions! And of course you can build any other forms as you want! Meet the Robobloq app, the playground for everything about Qoopers. In the app, you can find assembling instructions for each official form. 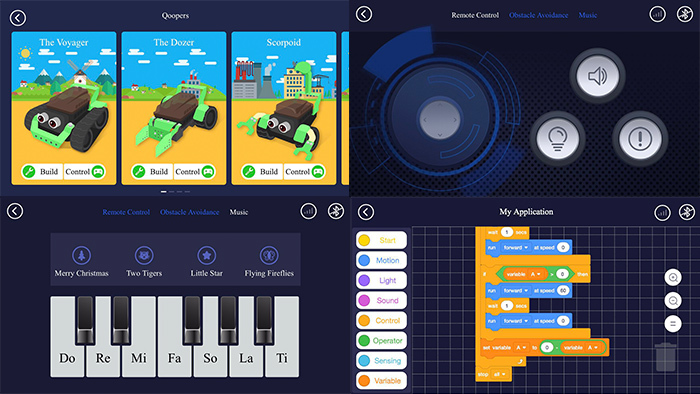 You can control Qoopers to move, play sounds, make faces, or even act to your programs! 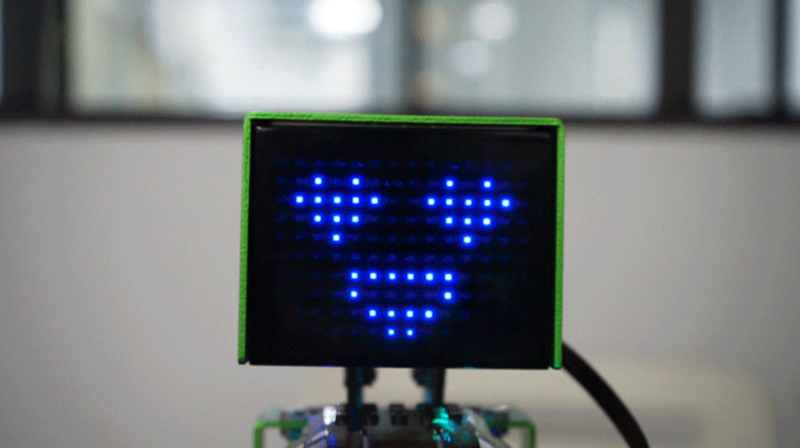 Qoopers has emotions, and apart from the presets, you can define more emotions using the LED Dots Matrix Customizing interface. Relax and just play! The ultrasonic sensor contributes to an obstacle avoiding mode. You're not going to hurt your Qoopers, or your furnitures. The easiest programming environment EVER! 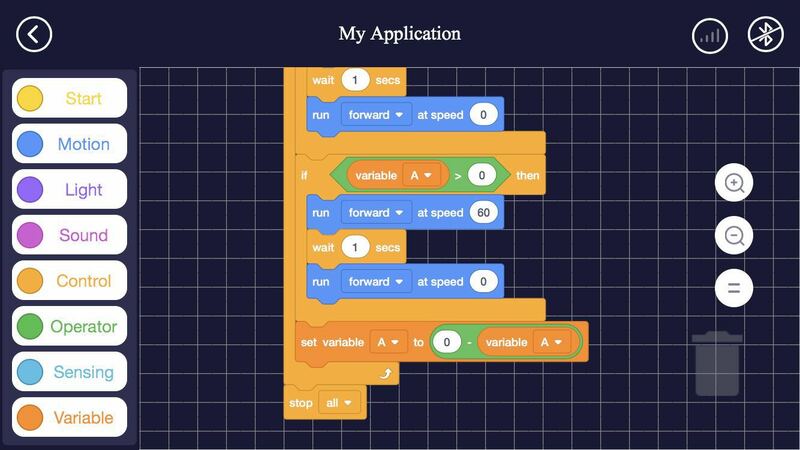 The "My Application" center is a graphical programming environment based on Scratch 3.0. You can not only control Qoopers' actions in sequence, you can also use variables and loop commands to create sophisticated programs. Pick up your Lego blocks and play them the new way! Stack them on Qoopers and make a colorful robot! Is the software for PC architecture only or is a MAC version available? Hi there~ The software is available for both window and Mac, You can ckick here to download Mac version # http://www.robobloq.com/app/download/pc/Robobloq-1.0.0.dmg # Also , you can find IOS version here # https://itunes.apple.com/us/app/robobloq/id1294534563?l=zh&amp;ls=1&amp;mt=8 #. Regards. does 2018-01-05 mean the 5th January or 1st May? Hi Luke~ It means 5th January.Happy new year. Where can we buy the sensor modules, cable, etc? So we can expand the functionalities easily. Hi there, you can check http://www.robobloq.com/product/sensors. thanks.